Lockheed Martin (NYSE:LMT) has received a $92.9 million modification from the U.S. Navy to provide engineering and interim logistics services for the Mobile User Objective System. 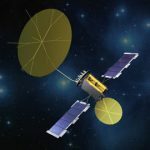 The company will also supply spares and associated material in support of the MUOS military satellite communications system, the Defense Department said Thursday. MUOS is designed to help mobile forces transmit voice, data and video communications when they conduct tactical ground, sea or air operations. Lockheed’s space systems business will perform work under the modification Arizona and California through November 2020. The Navy will incrementally obligate contract funds using fiscal 2018 weapons procurement; research, development, test and evaluation; and operations and maintenance funds.